This is an aerial shot of Old Sarum, the predecessor of Salisbury. This site was originally built about 500 BC, and then rebuilt several times, most notably by William the Conquerer in 1070. It was abandoned in 1226 after New Sarum (later renamed Salisbury) was built. Salisbury wasn't always called Salisbury, nor was is always located where it is today. It was once called Sarum, and it was located about 4 miles from its present location. It was moved in the Middle Ages and renamed Salisbury. 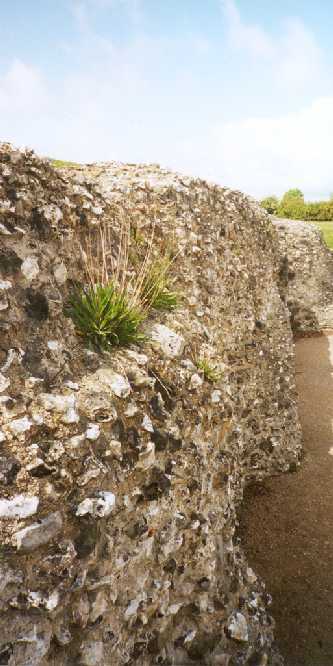 Much of the stone used in Sarum was recycled to begin Salisbury, but some of it remains. 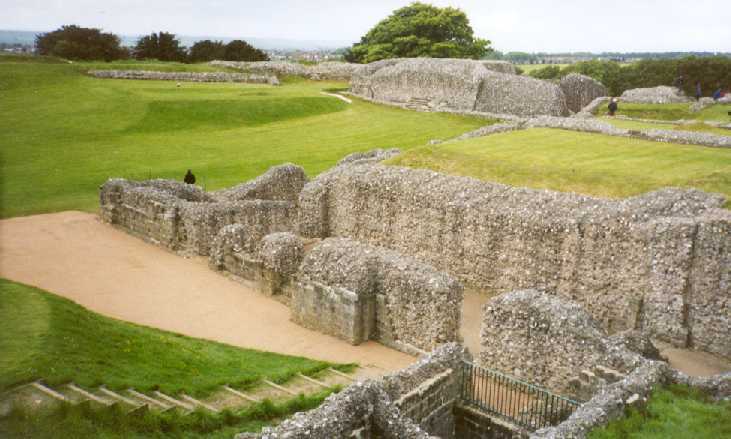 The largest part of Old Sarum that is still visible is the fort that protected the town from invaders. It was often host to visiting kings. This is a shot of the old Cathedral. Most of the stone from this cathedral was used to build the Salisbury Cathedral. 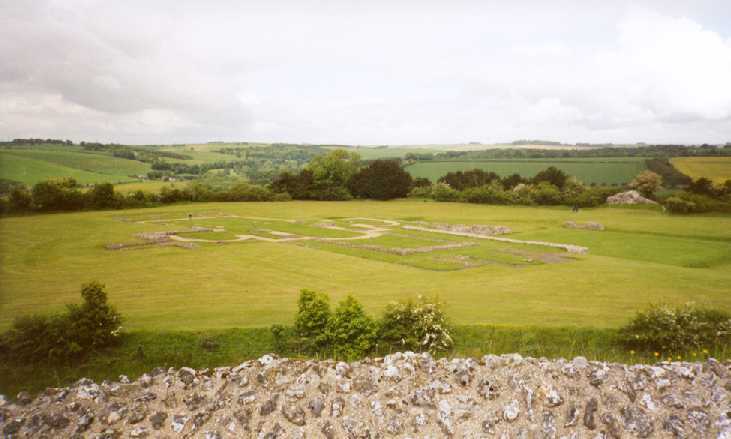 This is the view of the Old Sarum Cathedral from the fort. All there is now is the outline.